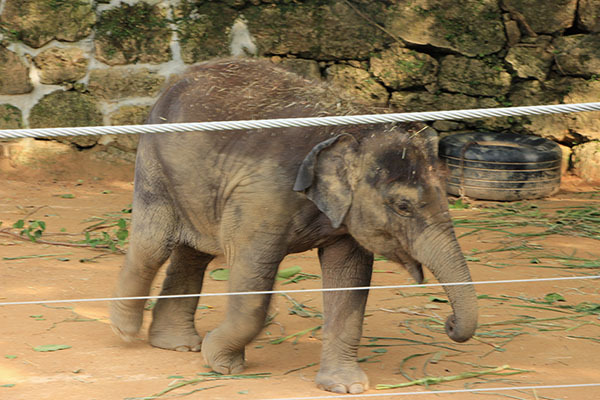 This zoo features some 1,000 animals of about 150 species including elephants and lions in a compact environment packed with a variety of attractions. 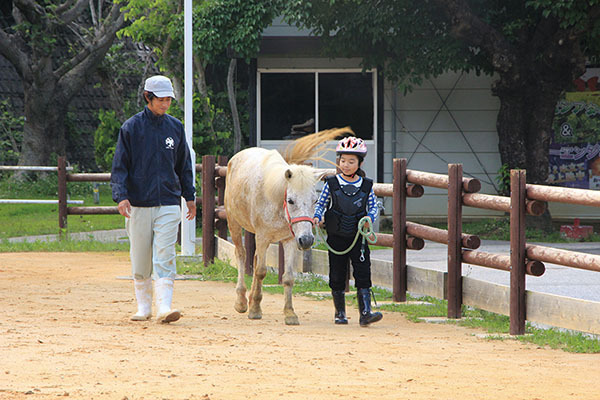 While the zoo hosts animals that are native to Okinawa such as the Yonaguni horse, recent additions attracting a lot of attention include a baby male white lion and a young male lion named Arusha, both of which were acquired in 2017, as well as a Yonaguni horse born on the grounds in April 2017. In the Water Field Area visitors can fish from a boat in a large pond (fishing tackle rental available) or just watch the waterfowl. There is also a Petting Plaza that affords a close-up experience with small animals as well a merry-go-round and the Texas mini train. Another recommended attraction is the Wonder Museum, where hands-on exhibits will trigger children’s curiosity. Enjoy watching the facial expressions of animals during their feeding times. Hippopotamuses are fed at 10:00, kangaroos at 11:00 and elephants at 16:30. 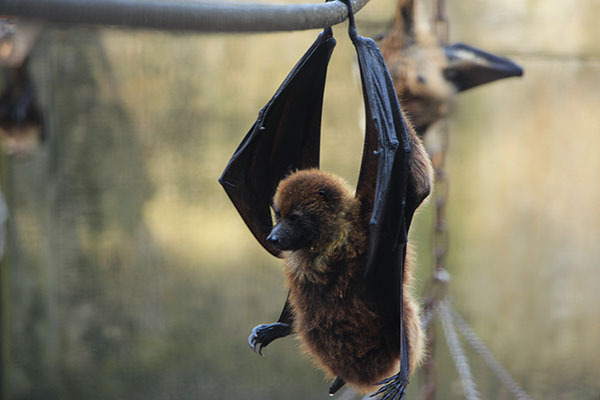 With a wingspan of up to 90 centimeters, the Okinawa flying fox is a megabat native to this subtropical island. Their feeding is at 16:00. 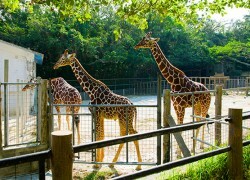 Okinawa Zoo & Museum is home to about 150 species, a total of more than 1,000 animals, including elephants and lions. The facility features a petting zoo, a merry-go-round, kids ride-on cars and a wonder museum with workshop exhibits and a hands-on experience corner for children.